Love the performing arts? Join our Brisbane tribe. Do something you enjoy and get your creative juices flowing. Discover and explore everything from film making and storytelling to movement, dance and self-expression. Check out our classes in Brisbane below. Want to stay updated with new class releases? Join our email list to be the first to hear. Aspiring actors and film-makers are invited to participate in this weekly practical workshop where participants explore film making, character development, devising, storytelling and communication tactics. 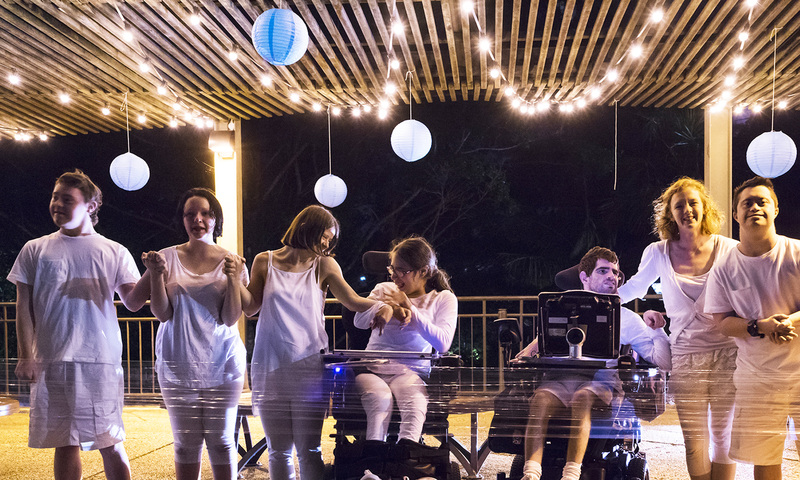 Thought provoking and innovative performances are a regular feature at Active8 workshops, with participants sharing personal stories, feelings and revealing their inner passions and desires. The performing arts are at the heart of this interactive workshop, with participants growing and developing their understanding of the basic elements of drama, song, poetry, movement, dance, communication and self-expression. The workshop offers a relaxing and safe environment for participants to develop their skills and culminates in a small, a relaxed and intimate performance for family and friends. With a love for dance and choreography, this dance troupe is committed to strengthening their dance, rhythm and musical ability. With a requirement for a basic understanding of dance, the troupe offers participants an opportunity to build their knowledge and skills of popular and contemporary dance styles. This intensive workshop is host to a group of skilled and experienced drama students that have been honing their skills for several years. Participants are focused and committed to their actor training and look to build their skills around character building, physical theatre, devising, script writing and contemporary theatre. The group works towards a major end of year performance and/or film project which is open to the public. This fun-filled, all ages theatre group provides students with an opportunity to hone their singing, dancing and acting skills. This group is particularly suited to those interested in building confidence. The group works towards two end of term performances per year. Read about the benefits from Screech Arts, and hear what other students have to say about our programs.